Your lower back can be thought of as the "hub" of your body, the base of the spinal column that balances and supports your entire musculoskeletal system. It is little wonder, then, that lower back has the power to completely disable otherwise-healthy people. When you can't bend over, turn your body, or even lie down comfortably, you need answers -- and West Omaha Chiropractic & Sports Injury Clinic in Omaha, NE can provide them. Low back pain may not be the only symptoms you're experiencing. This issue can be joined by neurological pain, tingling or numbness in the buttock or leg if the sciatic nerve roots are being impinged. This combination of symptoms can make practically any position, from sitting and standing to lying down, a painful challenge. Any of our three Omaha chiropractors at our West Omaha Chiropractic & Sports Injury Clinic will be happy to evaluate your spinal alignment, symptoms, weight, everyday lifestyle, and medical history to determine why your lower back is hurting. If your spine is out of alignment, we can administer chiropractic adjustments (including prenatal chiropractic care) to correct the imbalance. Acupuncture can relieve pain without the use of drugs, while massage therapy can loosen tight muscles and enhance healing in damaged tissues. You may also benefit from lifestyle changes that help you avoid overuse injuries and maintain a more natural posture. 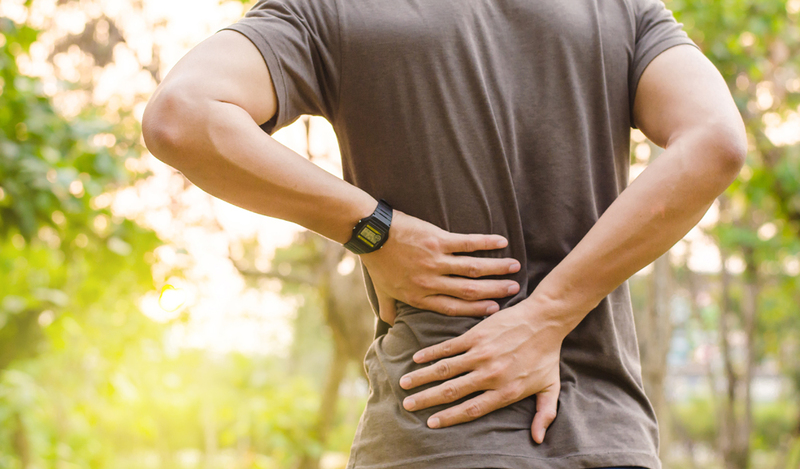 Lower back pain can hinder your plans for a happy, comfortable life -- but you can defeat this menace with the right mix of all-natural treatments. Call our Omaha chiropractic clinic today at (402) 334-4700 to schedule an appointment or visit us at 2639 S 159th Plaza in Omaha, NE. We want to help you beat your lower back pain!